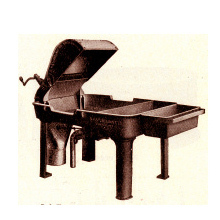 A wide range of portable and stationary forges for individual and industrial usage were built into the 1930s. 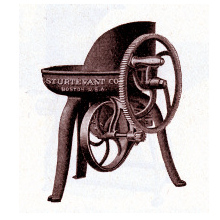 The TYPE E was the smallest of the Sturtevant forges. They were built exclusively for work benches. 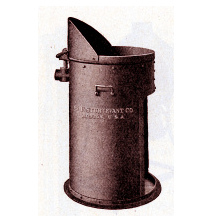 The TYPE A was a portable with manual blast(handle). 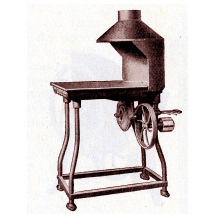 The TYPE G was a portable with heavy steel plate body. The TYPE C was a belt-driven version of the Type A. 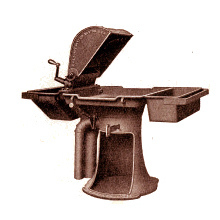 The TYPE H was found in manual training schools. 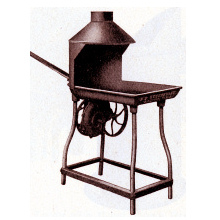 This stationary blast forge, the TYPE J was designed for medium work at carriage and locomotive shops. 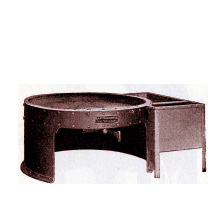 Circular and built of steel plate, the TYPE N was designed for locomotive shops and shipyards.